4x Innovations is proud to offer this excellent shackle flip kit to increase your suspension travel. Toyota's factory shackle mount is not setup to allow maximum flex at the shackle which limits the drop out flex of the rear axle on your Tacoma. This kit allows you to remove the factory shackle hanger and invert the shackle to allow for maximum flex and axle droop. A shackle flip makes a dramatic difference in the rear suspension travel. An added benefit to a shackle flip is the ability to install a longer shackle to add height to a suspension lift. 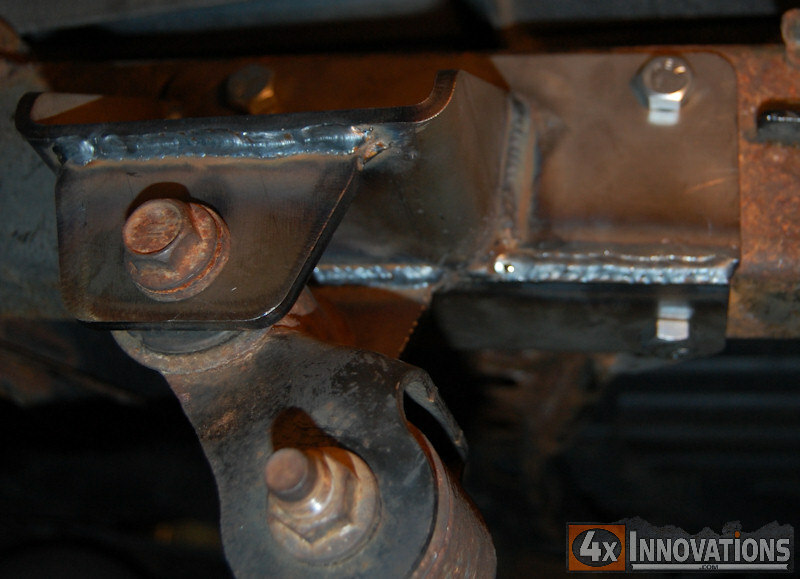 You will get approximately 3/4" of lift with the factory shackle. To mount the kit you will remove the rivets holding the factory bracket and bolt on the new brackets with included grade 8 hardware. Our new universal shackle flip kit allows the flip bracket to be mounted in the stock location, and plus or minus 3/16", 1/2", 11/16", or 1-3/16". The factory shackle is then flipped and bolted to the new hanging bracket using the factory bolt. 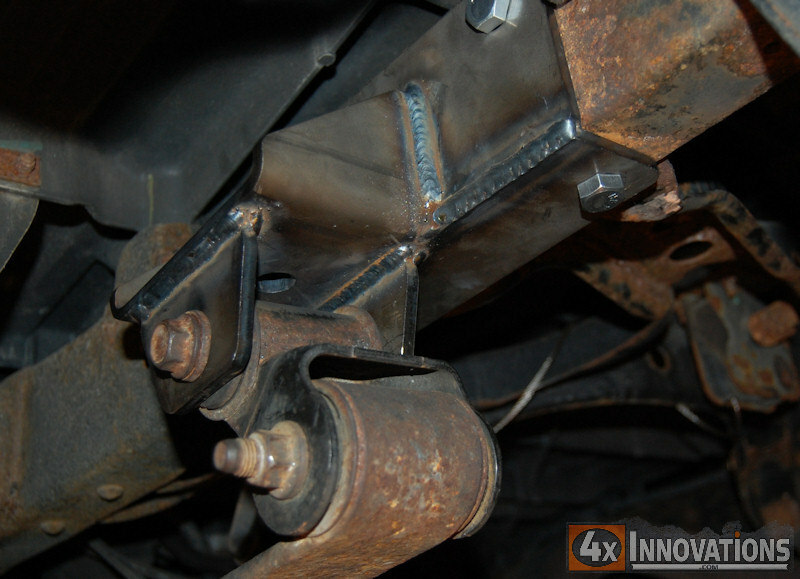 This kit reuses the factory shackle and will provide 3/4" of lift to the rear of your truck. All grade 8 mounting hardware is included. Ships bare steel, ready to paint with the coating and color of your choice. This adjustable/universal kit works with factory springs and most aftermarket springs. Installation will require the installation of long travel shocks or limit straps. See the related links below for kits that are available for other springs.Ships bare steel, ready to paint with the coating and color of your choice. You will need longer shocks to utilize the full suspension travel. Remember shocks are NOT limit straps and most shocks will be damaged by maxing their travel. If not installing shocks to utilize the full travel of the spring a limit strap will be required. Shock lengths and limit strap lengths will depend on each truck's particular setup, and desired performance. Stock springs will work with a 16" collapsed length/27" extended shock. Like the shocks brake lines are not limit straps. The factory 17" brake lines are at the very limit of their extension at full droop. Purchasing extended brake lines is recommended. 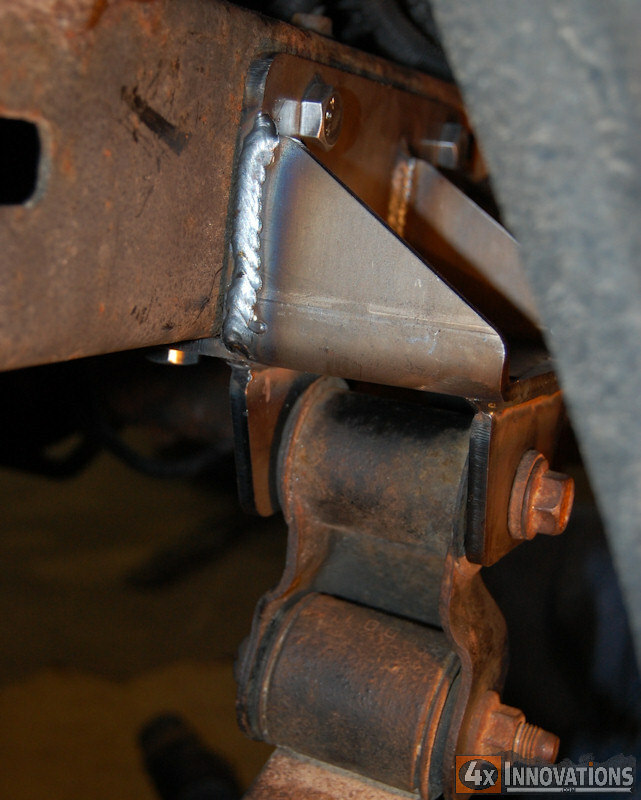 A brake line that is 19"+(spring/block/shackle lift height) is a minimum recommendation. 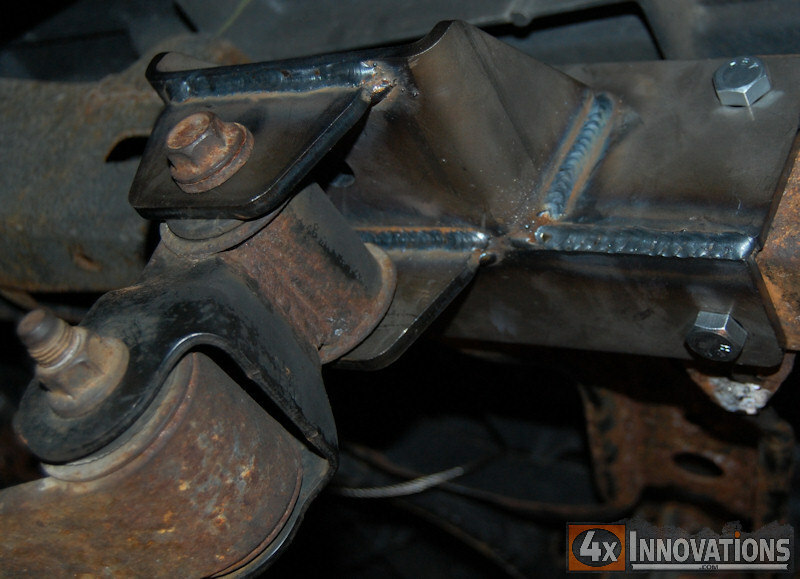 Flipping the shackle lowers the rear of the leaf spring. 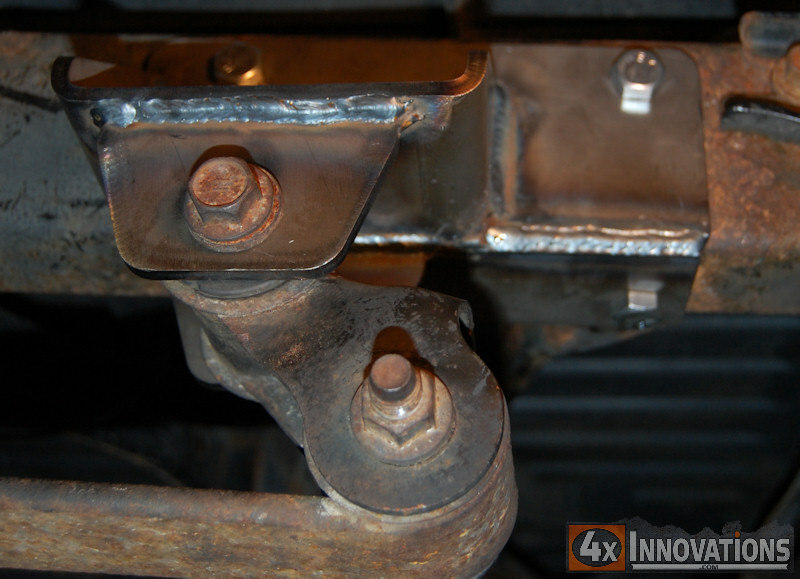 Adding a bump stop extension may be desirable to limit damage to the leaf springs.